Culinary Journal #caffeinefree - Shonna Steppe. Culinary Nutritionist. It’s so frustrating being allergic to your favorite foods and beverages (ahem, coffee). And of course people have tried for years to find good alternatives. 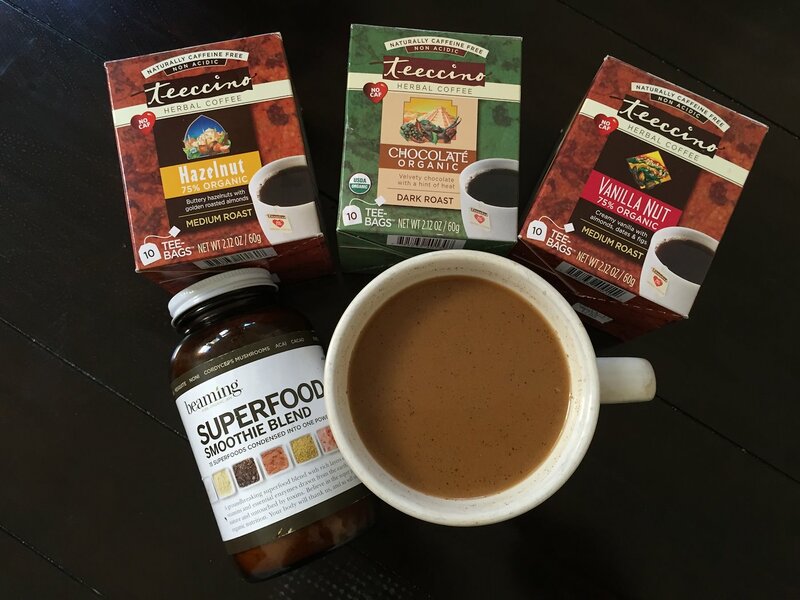 While I don’t anticipate ever saying there has been such a hero found (I do love my teas, but when it’s coffee you want…), I must say that I am quite excited about this new concoction of “Banana Milk” that has elevated my Teeccino (an herbal caffeine-free “coffee” that is alkaline!) and made it delicious. Raw Milk (yummy yummy!) isn’t always on hand, nor transportable, but this stuff is. Additionally, when you’re craving something outside the ever-boring almond/coconut/soy milk lack-of-creaminess disappointment, this easily hits the spot. I was so grateful running into @the_drama_llamas today during my “i can’t have coffee whine-fest” as it was her who provided me with this idea! So I ran home to try out my own version, and voila. Palate and afternoon-slump satisfied (ok, with some B vitamins and Ashwaganda to help out also)!! I hope you try it, because it’s no fun being this excited alone. Plus, it would be even cooler to know someone else was finding a better solution to their “i can’t have coffee or pasteurized dairy either” sad-fest.